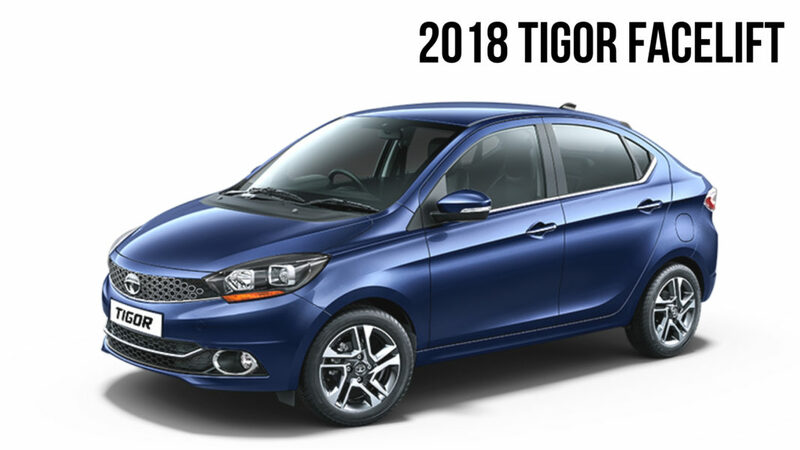 Tata launched the 2019 version of the Tigor with feature updates. All the variants of the Tata Tigor now offer Antilock Braking System (ABS) as a standard feature. The update comes before the 1st April 2019 deadline after which all the new car sales without standard ABS will be banned in the Indian market. Tata has not updated the price of the compact sedan even after the addition of the new feature. The 2019 Tigor gets a starting price tag of Rs. 5,42,321 and the top-end variant of the sedan come with a price tag of Rs. 7,51,758. Both the prices are ex-showroom. Apart from the mandatory ABS, Tata has also made the Electronic Brakeforce Distribution (EBD) and Corner Stability Control (CSC) as standard features in the Tigor. The Tata Tigor is available in five trim levels and until now, only the top three trim levels came with these safety features. The new rules also make the features like rear parking sensors, speed alert and front seatbelts warning as mandatory and all these features have been added to all the variants of the Tigor too. Tata launched the new Tigor with cosmetic updates last year. In 2019, only the safety features have been added and the rest of the vehicle remains identical and without any changes. The Tigor carries a unique look, thanks to its notchback inspired design. Last year, Tata added features like 15-inch dual-tone alloy wheels, LED tail lamps, shark-fin antenna and a diamond grille. It also gets dual-tone interiors that add a premium feel to the sedan. Tigor also offers an eight-speaker surround sound system from Harman and a touchscreen infotainment system with navigation. The Tata Tigor is powered by a 1.2-litre, three-cylinder petrol engine that develops a maximum power of 85 PS and a peak torque of 114 Nm. Tata offers 1.05-litre diesel engine with the Tigor that is tuned to develop a maximum of 85 PS and 114 Nm. Tata also offers a more powerful JTP version, which is powered by the 1.2-litre turbocharged engine petrol engine that develops a maximum of 108.5 Bhp and 170 Nm. Only the regular petrol version of the Tigor offers an automatic AMT option.